Greener Grass» Blog Archive » DAY 13. I take a train to New York City. I’m restless and couldn’t stay at one place so I go to the train station a little bit early. Again with public transport. What is is with the cars in US? Public transportation means independence and freedom to me. If you can’t move around anywhere without your car, you’re forced to buy and pay one. American dream is probably universal. It is said that New York city never sleeps. I woke up to listen to the city sound at night. It’s not very loud. Why not sleep? If a person goes to the forest, they sleep when the sun goes down and wake up to the first beams of light in the morning. Why not sleep? Cities are very fragile constructions. 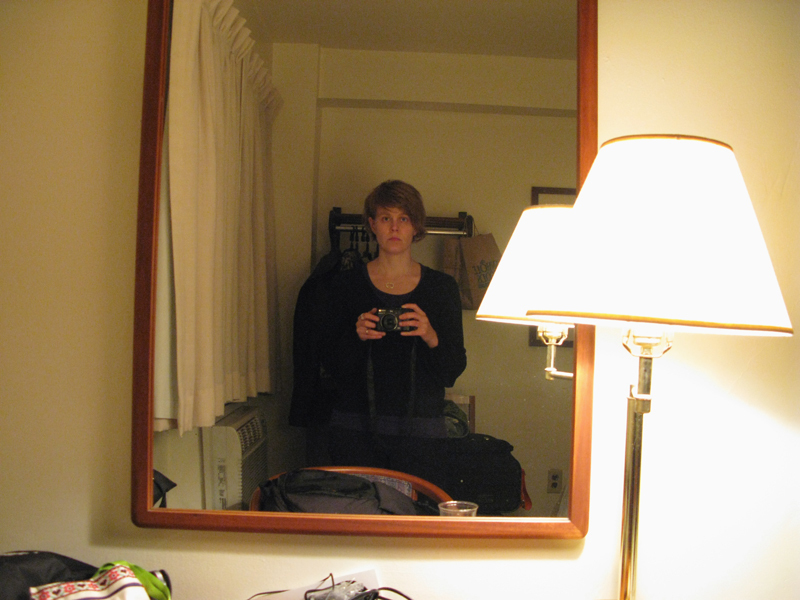 This entry was posted on Thursday, October 28th, 2010 at 8:15 pm and is filed under Travel diary. You can follow any responses to this entry through the RSS 2.0 feed. You can leave a response, or trackback from your own site.